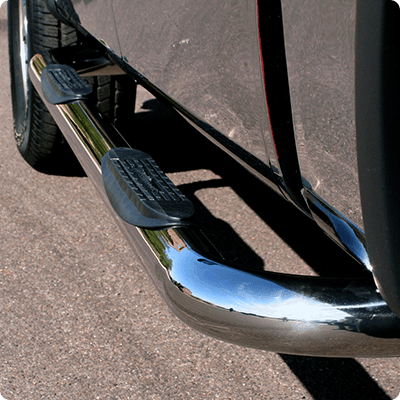 Running Boards are a great accessory to help you get up into your truck. They can also add some body styling to your ride, as they are available by many different designs and styles. You can get 3" Nerfbars or powered retractable steps that will activate when you open the door.